Lower Hazel Farm are a voluntary group (“verging on wild”) working and campaigning to protect Herefordshire’s Roadside Verge Nature Reserves (RVNRs). There are only 18 left of an original 33. They want to persuade Herefordshire Council to change the verge cutting regime across the county to encourage rather than destroy biodiversity and to work with local volunteers to care for the RVNRs. They would also like to hear about any sites which are worthy of being listed as reserves and would benefit from more appropriate management. They are working with Plantlife and Herefordshire Wildlife Trust and will soon be approaching the council. 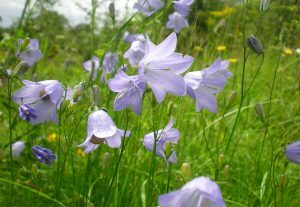 Herefordshire residents can show their support by signing the Plantlife open letter to the council. Every signature matters and will show community support for this scheme when the council and Balfour Beatty are approached. There is a page for the Plantlife open letter on their website. Click here! Please do sign and share – every last signature helps!